Home - Health - Measles is Vaccine-Preventable! The number of measles cases in the cordillera region continue to rise. Based on the report of the DOH Regional Epidemiology Surveillance Unit (RESU), 211 measles suspect cases were recorded in the region from January 1 to February 25, compared to the 21 cases recorded during the same period last year. 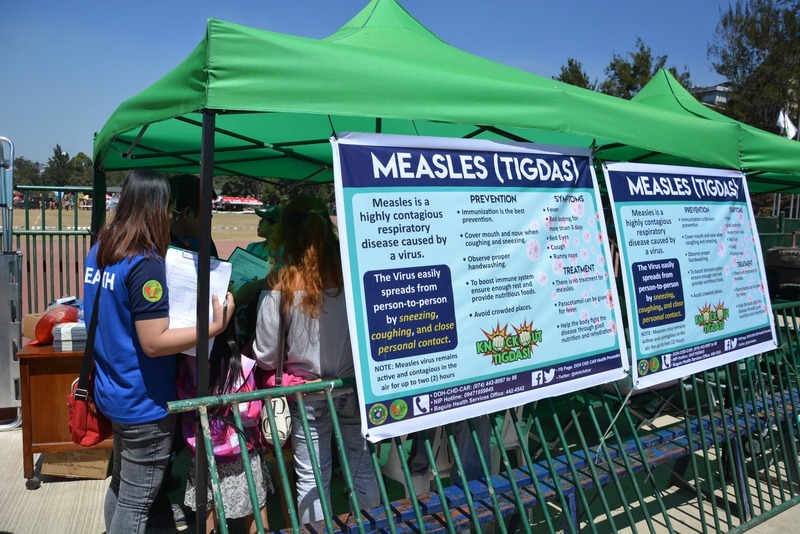 Baguio City and Benguet were also reported to have the most measles cases with 119 and 60, respectively. Abra has 12 cases, Apayao with eight, Ifugao and Mountain Province have five cases each, and Kalinga with two cases. Dr. Amelita Pangilinan, the Regional Director of DOH-CAR, stressed that measles is highly transmittable and can be fatal when patient gets complications but it is also vaccine- preventable. Thus, she appeals to parents and guardians to cooperate in the vaccination program of the government. The DOH-CAR has already started intensifying its immunization drive to provide vaccination, especially to children, as the number of measles continue to rise. Dr. Pangilinan stressed its call to parents to bring their children to the nearest health centers for free immunization. Measles is a highly contagious disease caused by a virus. It starts with a fever, followed by a cough, runny nose, and red eyes. A rash of tiny, red spots then breaks out and spreads. Measles can be especially dangerous to children under 5 years old. It can lead to pneumonia, swelling of the brain, and even death. The good news is that measles can be prevented by getting a vaccine. Measles spreads through the air when an infected person coughs or sneezes. It’s so contagious that if one person has it, 90% of those around him or her will also become infected unless they’re protected by a vaccine or “natural immunity” from a previous measles infection. The best way to protect against measles is to get the measles-mumps-rubella vaccine (the MMR shot). Doctors recommend that all children get the MMR shot beginning at age 12-15 months, with a second dose at 4-6 years of age. According to the World Health Organization position paper dated 28 April 2017, “compared with no vaccination, any dose of measles (-containing) vaccination is highly effective at reducing the incidence of measles infection (high level of scientific evidence)”. The Cordillera Regional Health Research and Development Consortium (CRHRDC) is one with the DOH-CAR in their advocacy to combat the escalating number of measles cases in the region.